In 1950, Ray Dobard decided to open a record shop, Berkeley’s Music City in Adeline Street, San Francisco. Not long after that, Ray founded his first record label Delcro Records. Three years later, with his latest business expanding his record store, now called Music City Record Store moved to new premises. Music City Record Store’s new premises were at 1815 Alcatraz Avenue. Behind the shop, there was an empty space. Ray decided to build a small studio. This meant he could record artists, release their music on his own label and sell them in Music City Record Store. 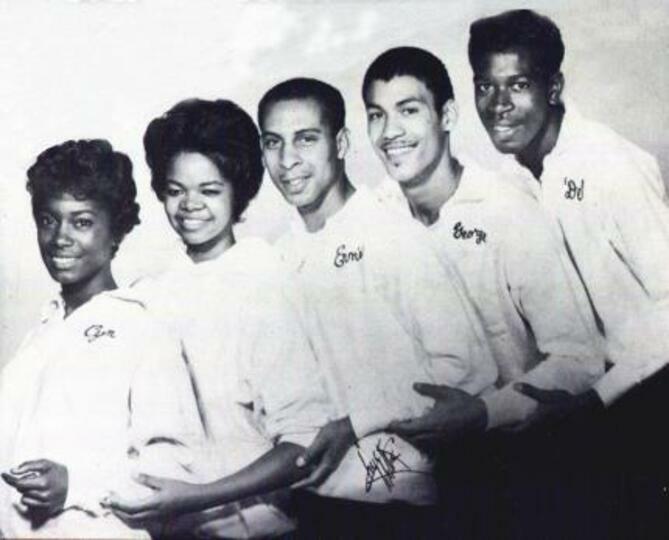 In 1960, Dobard signed a quintet composed of two young women and three men. The group had began at Willard Junior High several years before, with tenor/baritone George Banks and Bass Odell Alford . 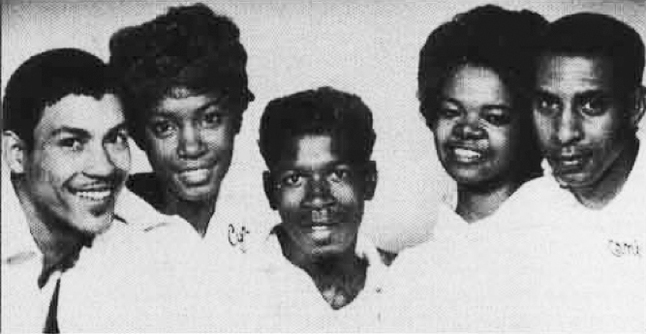 At Berkeley high, a tenor named Ernie, beauty queen alto Cynthia Badie and sweet-voiced lead singer Wanda Burt gravitated to the group, who now called themselves the Crescendos. Wanda Burt, of all Music City Artists should have achieved a measure of stardom. Born Arkansas in 1942 and raised in Berkeley, she worked at Dobard’s store on the Weekends. One day she gave Dotard a Crescendos’demo. Dobard decided he wanted to record this group. Tough all the members sang lead during their live shows, Wanda became the only Crescendo voice on Music City-and no wonder. 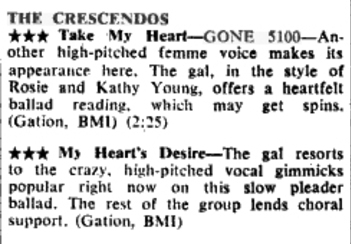 The Crescendos first release, "My Heart's Desire" in October 1960, in fact inspired Goldner to lease the record for another one of his labels, Gone. The song made some noise on the East Coast but never broke out. Impressed with Burt Potential, Dobard made a concession to the white mass market on the Crescendos’ next records, "Teenage Prayer" by adding violins. The added expense must have gnawed on him. One thing is certain : Those strings did more harm than good to the ballad, which was in the first place not as interesting as it flipside "I Don't Mind". The Crescendos’ third release, "Scheming" must have disappointed the other members of the group, because their name was nowhere in sight. Instead Dobard put it out as the B-side "Your True Love Is Standing By", which Burt had cut with another group. and he featured Burt as solo on the label. Wanda Burt had also stepped out on her own as a live performer. In late 1961, she appeared on the bill at a huge concert at San Fransisco’ Cow Palace with Chubby Checker, Eugene Church and girl group the Marvelettes. Unfortunately, health and personal problems sidelined her before she could build any momentum, and bought her promising career to a premature close. 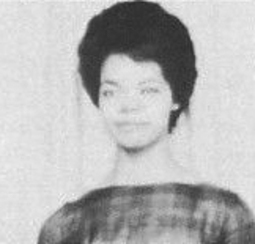 The Crescendos replaced her with a sound alike, Anna Lois Jones, and recorded as The Casual Crescendos for the MRC label. Cynthia Badie left the group to go to College, and nowadays she’s the manager of a successful young pop group, The New edition.